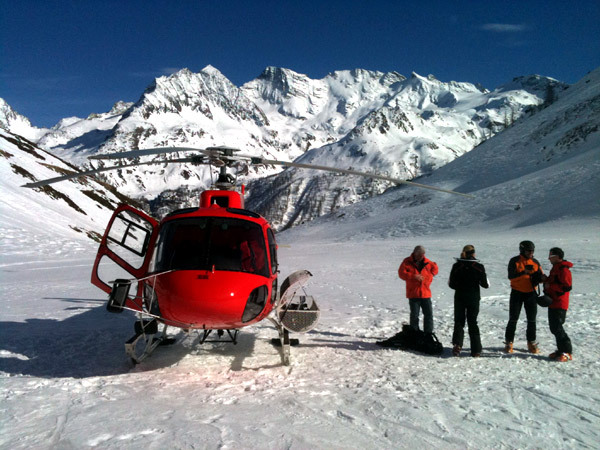 This activity has became more popular because of the many possibilities that Monte Rosa can offer to skiers. You can enjoy fantastic descents and a great view of the amazing Monte Rosa glacier, one of the most majestic of the Alps, between Swiss and Italy. Guided by the experience of our Mountain guides you will have a taste of unforgettable glacier ski runs of to 3000m. From 260,00 € per person for groups of 4 skiers. The price covers: the cost of the guide and helicopter flight.